So you were one of the few lucky people to pick up a Touchpad for $99 during HP’s giant fire sale? After gloating to all your friends that you got the deal of the century, what do you do next? We have compiled a list of the top 10 things to do with your new Touchpad. Read on to find out how to get the most from your new gadget. 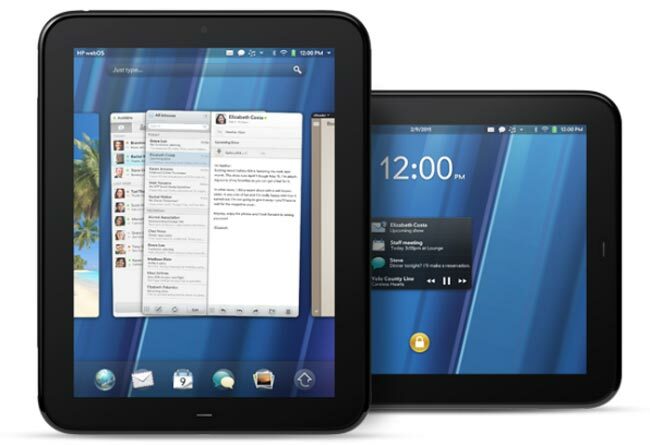 All the new Touchpads that people are buying come with an older version of WebOS. One of the biggest complaints when the Touchpad launched was the slow performance despite the good hardware under the hood. HP’s 3.02 update for WebOS makes a huge difference in performance. If you do nothing else, at least update the OS on your tablet. With doors being closed on the Touchpad manufacturing plant, HP has decided to hand the reins over to the homebrew community. By unlocking developer mode you can install patches and third party programs that other people have made and aren’t in the app store. You then select the developer mode icon. Once there you will select the little toggle switch to enable developer mode. It will prompt you for a password enter. Unless you know what you are doing, it is best to just leave it blank. Once the device is in developer mode, you will want to install Preware, as that will allow you to install all of your third party apps. A nice tutorial on how to install Preware can be found here. While WebOS 3.0.2 does make improvements to performance, there is still a lot of unnecessary logging going on in the background. You can disable it by going to “Device Info” in the settings page on your Touchpad. In the top left corner tap “Device Info” and then tap “Custom Application.” In the code box enter “##5647#”. As soon as you finish entering the code it will bring up a menu. Select “Change Logging Levels”, then select “Set Logging To Minimal.” Even with logging set to minimal, there is still stuff going on that slows down your device. To remedy this, we have speed enhancing patches made by the homebrew community. In order to install any of the speed enhancing patches, you will need to have Preware installed. The following patches will greatly help improve performance for your Touchpad. Here at TechwareLabs, we are all about overclocking. So why should our Touchpad be any different? The homebrew community has created some custom kernels that can be installed on the Touchpad to overclock it up to 1.728 GHz (it’s 1.2GHz stock) without increasing the voltage. To do this we will need to install 2 packages from Preware. Once the packages are installed, you can use Govnah to make custom profiles for overclocking your Touchpad. I like to change the the IO scheduler to BFQ instead of CFQ as well. Since the overclocking is done without raising the voltage of the CPU, the battery life of the tablet isn’t affected all that much. With the fire sale of Touchpads, Hulu has finally acknowledged WebOS’s existence and blocked it from being able to watch videos on their site. Luckily, with some command line hackery, we can get back to watching our favorite TV shows. A good guide on how to fix Flash can be found here. There is also a package available on Preware call “Hulu Fix” that does the trick as well. I can’t say for certain if it makes a backup of the original Flash files though, so if you have any doubts, it’s best to do it the manual method using the link above. While there isn’t a perfect Android ROM out yet for the the HP Touchpad, the folks over at XDA-Developers are hard at work making one. While there is a good chance that a viable Android port will be made, it’s uncertain how long it will take to do so. Before the fire sale, most people didn’t have WebOS on their radar at all. Android on the other hand is a more mature OS with an abundant marketplace. A successful port will definitely breathe some new life into the Touchpad. In the meantime you can still install Ubuntu on your Touchpad. One feature that iPhone and iPad users are always bragging about is FaceTime. Well, WebOS doesn’t have that, but it does have Skype. With a 1.3 MP front facing camera, the Touchpad has everything you need to have some fun video chats with your friends. The Skype app can be picked up for free in the app market. I am a die hard Kindle lover. I love the e-ink screen for reading books, but it isn’t very good at reading PDFs or color documents. The other big issue is that the Kindle costs $135, while the Touchpad only costs $99. It’s hard to ignore the appeal of the Touchpad at that price. WebOS has an Adobe Reader app for free in the marketplace, while not as good as the Android version, it does get the job done. There is also a comic/CBR reader app called ComicShelf that can be found as well. Box.net has provided a free 50GB to Touchpad owners when they register for an account. Their service is similar to DropBox, allowing you to upload and download files to the cloud. An extra 50GB of storage is a welcome addition to a device that has at most 32GB. Why haven’t you registered yours already? These are selling like hotcakes right now. Many are going for twice the MSRP on ebay and craigslist. This trend won’t last forever though. If you have no particular attachment to your new device, selling it on ebay might be an easy way to turn a quick profit. There you have it, the top 10 things to do with your new HP Touchpad. Have suggestions for other awesome things to do with your Touchpad? Post them in the comments. 2 questions :- 1) if i were to overclock my touchpad can i still install android when its out? 2) is there a mario kart game out there like the wii version as its virtually the same controls etc. 1. I don’t see why not. You may have to redo the overclock, but I don’t see it preventing you from installing android. 2. If your asking if there’s a Kart racing game out for WebOS, I know there’s a game in the app store called Shrek Kart that is supposed to be fun, but I can’t speak from experience. Will it be possible to do the overclocking also when CynogenMod finally brings Android to the HP Touchpad? I believe that the CyanogenMod team is working on modifying the bootloader so it will boot directly into android instead of WebOS. If that is in fact the case you should still be able to overclock it, but it will be through the overclocking apps that exist for android. I can’t say for 100% sure that it will work with the kernel that they are using as I am not part of the build team. CyanogenMod has some really nice forums where I’m sure they can tell you for sure, but if I had to venture a guess I’d say it will probably be possible to overclock it with android. I just picked up a TouchPad. So far it’s pretty sleek. I didn’t even think about overclocking this sucker. Glad to see that you can do this, that will by my first ‘hack’ with it. Thanks for sharing these tips. Glad you enjoyed it. I’ve been running mine at 1.7 GHz with no significant drop in battery life. It runs super smooth with the way I have it now. I also installed Ubuntu on it so I can do all sorts of cool remote management stuff too.